We examined the efficacy of embryoid bodies from 6-day induced pluripotent stem cells an in vivo sepsis model. 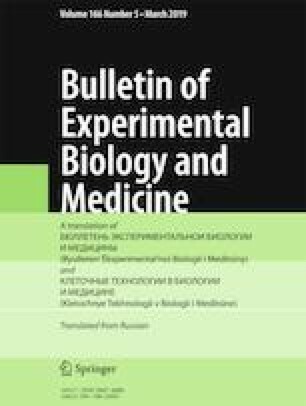 Injection of embryoid bodies to septic mice improved the condition of their lungs and significantly increased their survival rate. Although embryoid bodies secretedsphingosine-1-phosphate in vitro, its serum levels in mouse plasma were significantly reduced compared to that in the control (untreated mice receiving PBS). Low concentrations of sphingosine-1-phosphate protected endothelial cells, while high concentrations disrupted endothelial barrier integrity. Therefore, exogenous sphingosine-1-phosphate secreted by embryoid bodies during early stage of sepsis might down regulate endogenous production of sphingosine-1-phosphate. Inhibition of excessive sphingosine-1-phosphate release protects against endothelial injury and suppresses a vicious cycle of inflammatory reactions. The obtained results open new prospects in induced pluripotent stem cells-based therapy for sepsis.